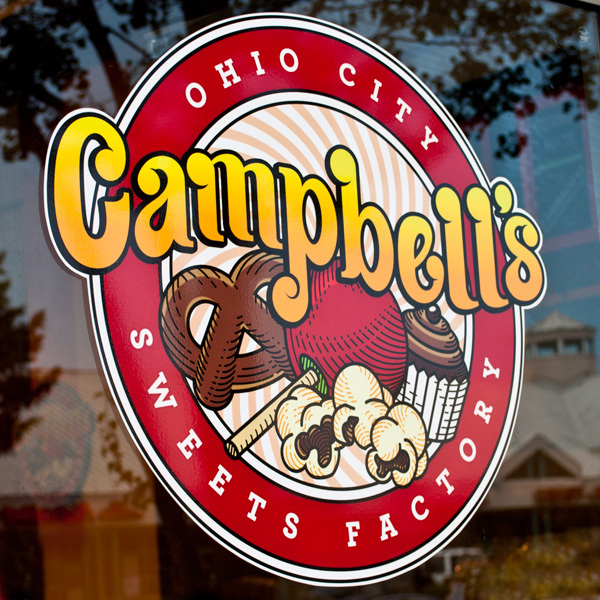 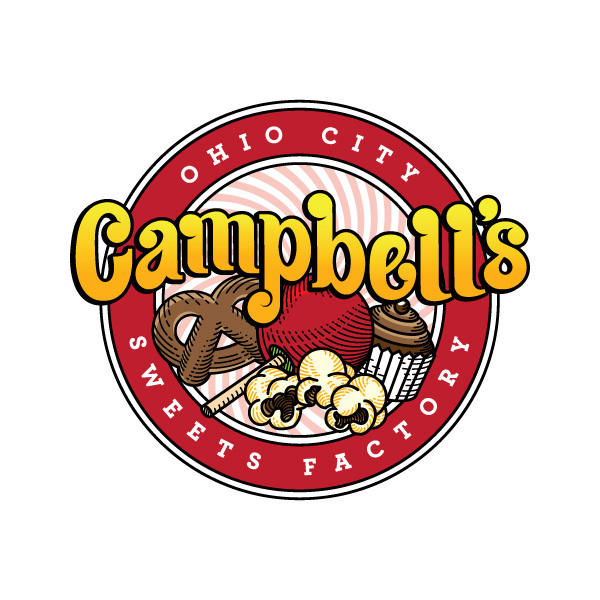 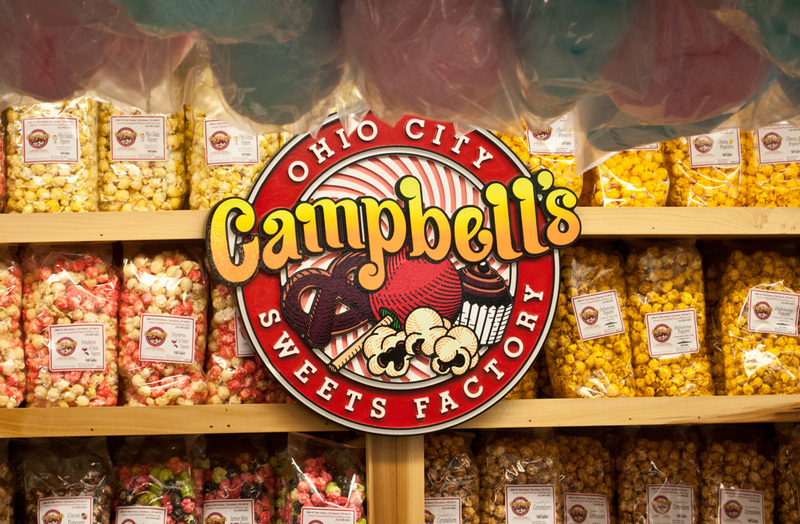 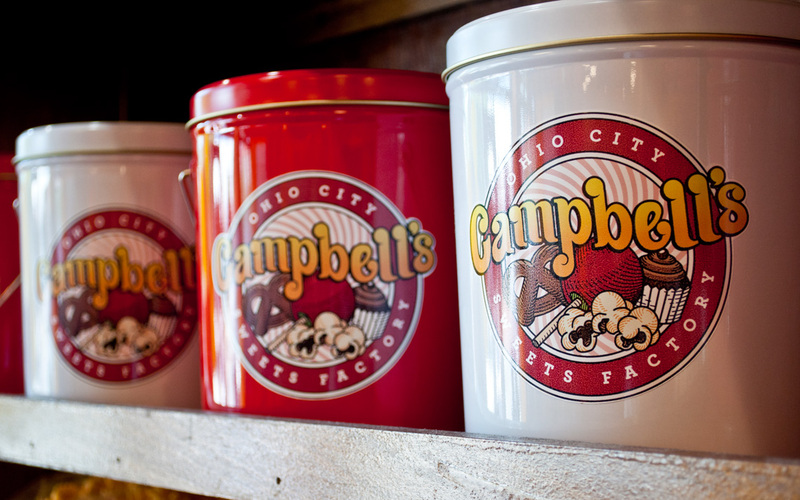 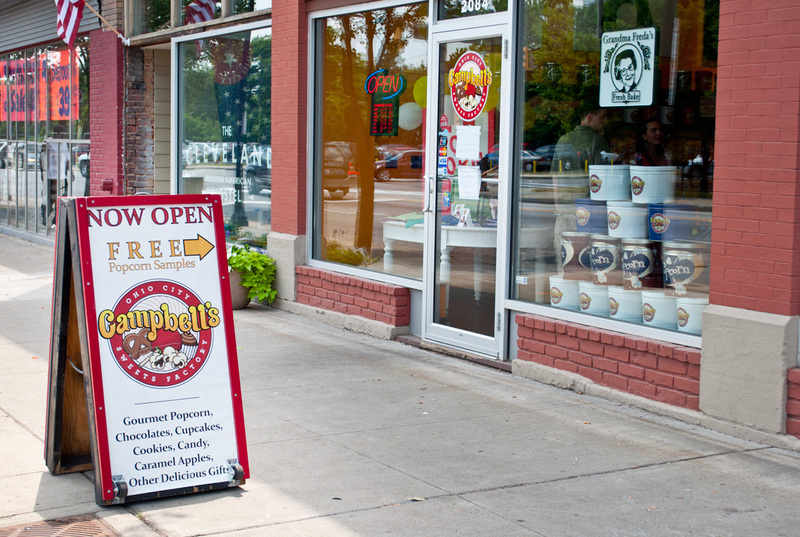 Campbell's Ohio City Sweets Factory is a staple of Cleveland's Historic West Side Market. 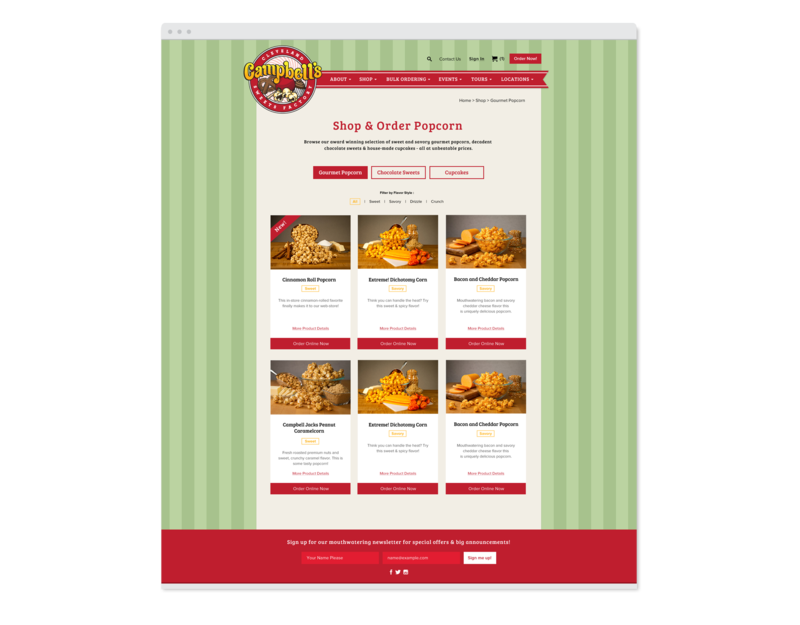 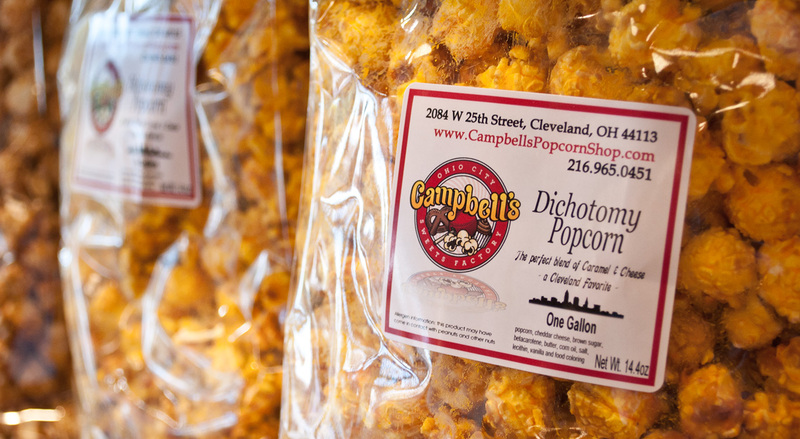 As the Market District grew in Cleveland, the owners chose to expand into a stand alone store where they could sell their popcorn and sweets. 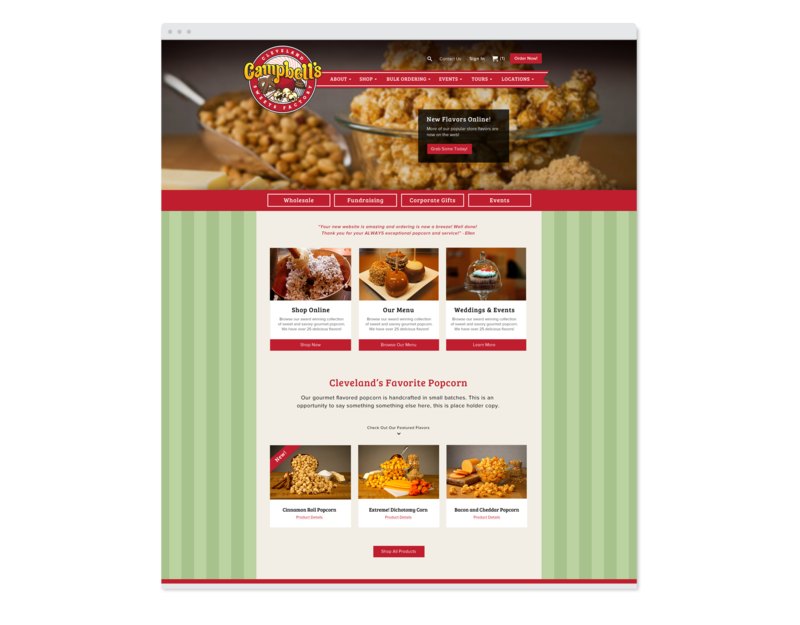 In addition to the expansion, they came to Go Media seeking a redesign of their logo and a rebranding, and later returning for a redesign of their website as well.They wanted a design that was more whimsical and unique to represent their growing business. 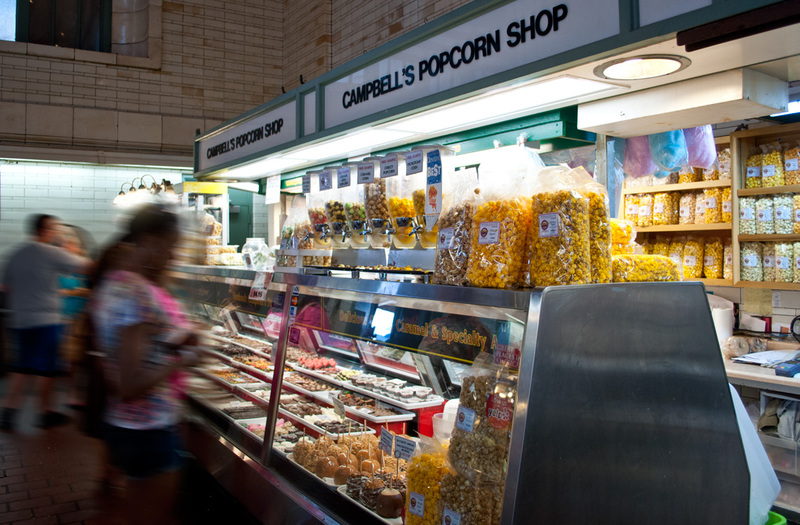 The logo needed to stand out in the chaos of the other Market stands. 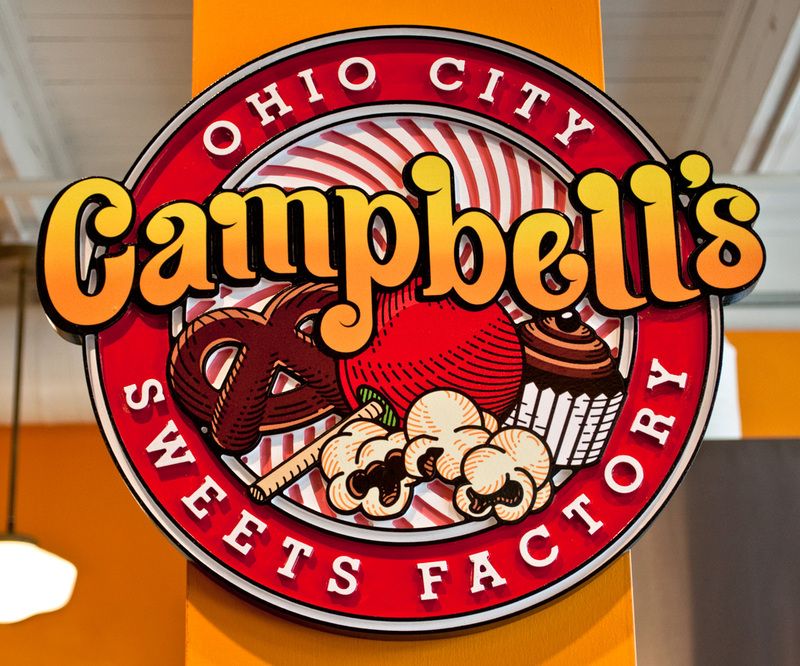 The resulting mark is used extensively within their store and stand as well as on the packaging of their goods.